Two members of Ireland’s Dáil (parliament) face Christmas in the clink for trying to inspect US military aircraft at Shannon airport. Independent TD (MP) Mick Wallace and United Left TD Clare Daly used a rope ladder to gain access to a restricted area of Shannon Airport in July 2014. They suspected the US of carrying weapons through Ireland, a neutral country that is not part of NATO, and were arrested as they approached two US planes on the taxiway guarded by police and the Irish army. The pair contested charges of trespassing on the grounds that they were inspecting the planes for humanitarian reasons and to highlight Ireland’s lack of neutrality. They were subsequently fined €2,000 for their anti-war protest and could now be sent to prison for up to 30 days for refusing to pay up. Warrants are believed to have been prepared by Irish courts and could be acted on in the coming days. The deadline for the fine payment expired on July 22nd. Wallace said he and his colleague are prepared to go to prison. Wallace said it broke his heart that his country was promoting war by facilitating US military campaigns in the likes of Afghanistan, Iraq, and Syria. The left-wing property developer made headlines years ago, before he won his seat in the Dáil, for hanging banners against the invasion of Iraq on one of his construction projects. Wallace and Daly would likely be part of a Syriza-like ruling coalition if left-wing candidates succeed in next year’s general elections. Shannonwatch, a group which monitors the military use of the airport, obtained details earlier this year showing the amount of troops and weapons which came through Irish territory and airspace in 2014. “US troop carriers and aircraft with machine guns, rocket motors, and other war material are routinely allowed to fly through Irish airspace,” read the group’s document. “When we see the scale of the refugee crisis created by the use of weapons in Syria, we begin to get a glimpse of how arms shipments can impact on a region. It’s not something we should be part of,” Lannon added. 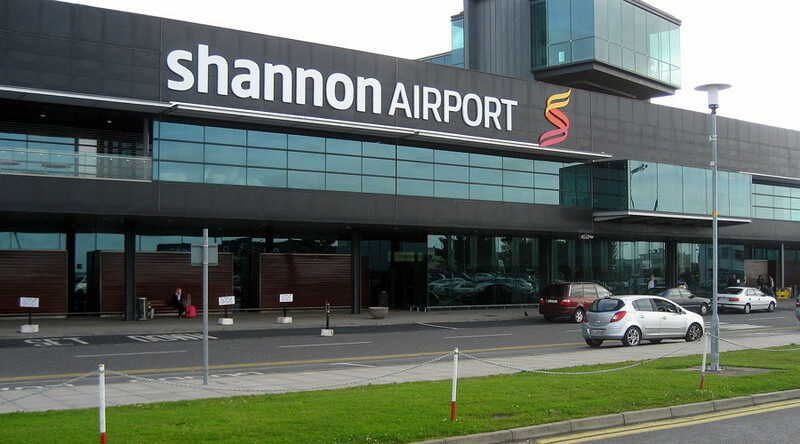 Shannon Airport was the site of its most famous incident of civil disobedience 12 years ago when five Catholic peace activists broke into a hangar and caused more than $2.5 million damage to a US Navy plane with hammers and a pickaxe. The “Pitstop Ploughshares” activists were eventually found not guilty by an Irish jury, who said they had the lawful excuse of saving lives in Iraq.